According to the Masters of Light curses do not exist in the physical plane, there is a logical explanation to those incidents that seem unexplainable. In fact, these alleged curses are simply natural events and in some cases the spirits of error were involved, but nothing more than that. As for the famous Hollywood curses, they are only a myth and it’s not part of our mission to unveil these fortuitous cases due to obvious reasons. However, we asked about one of the most famous Hollywood curses known as “The superman curse” Hopefully, some people will finally understand that curses are just absurd. Entities that came to dialogue: Master Ruanel. Interlocutor: Moving on to a totally different topic, I want to ask you about those famous "curses". 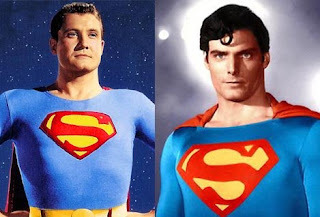 In this case, I’d like to know about "the curse of the Egyptian mummy", “the curse of the Hope diamond” and other cases that have been labeled as curses, for instance, the Hollywood curses and the famous cases of George Reeves the actor who play the role of Superman and Christopher Reeve, who also played the same role we already know what happened in both cases and what people believe. Ruanel: In the case of the mummies, in some cases can be virosic remains that could affect the researchers that discovered them. With regard to the other "curses", they can be produced by the spirits of error. In the other cases there was a tremendous influence of roles of ego. Interlocutor: In what case did the roles of ego have influence? Ruanel: In the case of the fiction character called Superman who was interpreted by several actors and in some of them there were coincidences. In the decade of the sixties, one of those actors had a tremendous depression because he wanted to leave his role as an actor of Comics, and when he could not get out of that role since people only associated him with the role of Superman, he ended committing suicide, he died from a gunshot wound. Interlocutor: So it wasn’t, a murder, as some people sustain? Ruanel: No, it was not a murder. He committed suicide. Beside, he had conflicts with the wife of a cinema director with whom he had had affairs. Ruanel: Correct. As for the more recent actor whose last name is similar, it is nothing more than a coincidence. And the fact he ended paralyzed after being thrown from his horse, it was simply an accident, although karmatic. On the other hand, this actor, as a spirit is in a Mastery plane, the plane 4. Interlocutor: To summarize, the case of George Reeves was a due to a self-centered problem and in the case of Cristopher Reeve it was simply an accident, although ironic obviously. Ruanel: Correct. There are no other secondary connotations. Behind each curse there is a logical explanation. This entry was posted at Saturday, March 06, 2010 and is filed under Mysteries and Enigmas . You can follow any responses to this entry through the .